RJ Parker Publishing BLOG: The Real Answer to: What Defines a Serial Killer? The Real Answer to: What Defines a Serial Killer? 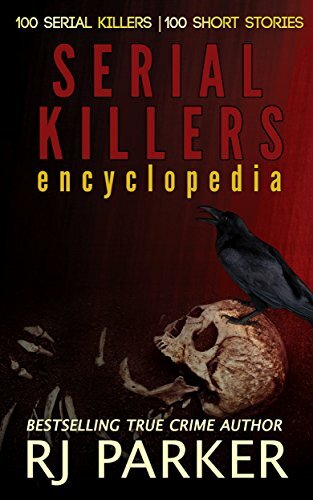 Extracted from my book, "The Encyclopedia of Serial Killers, from A to Z"
Ressler of the FBI's Behavioral Science Unit (BSU), used the term to describe a different class of killer who operates independently of criminal or political affiliation with an aim to take life due to personal reasoning, rather than any outside influence from society. Serial killers usually kill for one of several reasons, including personal enjoyment, stress relief, or even to uphold a personal set of moral or rational values (such as the Yorkshire Ripper in the United Kingdom, who killed to clean the streets of what he believed to be a plight on his world). Serial killers can come from a variety of socio-economic backgrounds, can be male or female, and often have trouble empathizing with others. The typical characteristics of a serial killer are hard to pin down; as there really aren't any concrete indicators beyond the simple fact that the individual has chosen to engage in a series of murders for his or her own reason. With that said, there are several broad trends that have been noted. Most specifically is the age range in which serial murderers become fully active—between the ages of twenty and forty. Older cases have been identified, but those are usually believed to be serial killers who avoided earlier detection. Younger people involved in serial killing have also been identified, but they are unlikely to be directly involved at first, and instead typically take a supporting role to a more dominant individual. Serial killers are also typically male, although this view has been criticized in recent times, as female serial killers are not uncommon but still not as numerous as men. The major difference between male and female serial killers is in actual method, rather than motivation and capability. Women are more likely to choose passive methods, such as poisoning, while men tend to choose violent methods, such as strangulation or stabbing. There are also a disproportionately high number of ethnic minority serial killers, especially in the U.S. This may be because they are more likely to succumb to an unstable, unusually stressful or abusive situation, due to the less than ideal treatment of ethnic minorities within many societies. Serial killers are commonly thought of as intelligent, but recent research conducted in the United States has shown that they are in fact of average to below average intelligence, with an average IQ of 93. Many serial killers are often raised in abusive or unstable households and this abuse causes behavioural and mental problems later in life. The Macdonald triad is a set of behavioural characteristics often used to describe the background and possible indications of a serial killer. This theory proposes that there are three behaviours common in serial killers. They include: a preoccupation and obsession with fire starting, a prevalence for sadistic behaviour as a child (which may involve the torture and killing of small animals), and bed wetting into the early teen years (past the age of twelve). However, there have always been exceptions to the above and a serial killer can emerge from any background or area of society. The modus operandi (MO) is a term coined to refer to the particular methods and functional characteristics of a serial killer. The MO can be made up of different aspects, such as the time to strike, the characteristics of a victim, the tools to be used, the methods of gaining entry or luring and subduing a victim, or the locations used during the crime. The MO can and often will be similar when conducted by the same person, as there are usually personal reasons or rational issues leading to the choice of a particular method. Similar MOs can be used to link homicides by police departments and possibly uncover an individual serial killer who may have gone unnoticed. The MO is similar to and may be involved in the signature of a particular serial killer, but the two are not one and the same. The signature is often a personal and symbolic feature of a serial killer's crimes and typically has personal meaning that may not be immediately apparent. On the other hand, the MO also refers to the practical choices made by the serial killer in actually committing the act. Not all serial killers leave a signature, as not all murders may be 'perfect' or uninterrupted according to the killer. However, MOs will typically remain similar across all murders as the killer becomes comfortable with the act of killing. Analyzing MOs can be used to predict, link, and eventually convict serial killers by better understanding their methods and abilities. The motives of serial killers differ depending on their background and circumstances but can be put into one of four categories generally: visionary, mission-orientated, hedonistic and power seeking. Visionaries believe an outside force compels them to commit murder. These outside forces are generally broken into two groups: demon spoken and God spoken. Those in the demon spoken group believe they are influenced by and led into the act due to an intangible force of evil intent that enjoys the act in some way. Those in the God spoken group believe they are led into the act due to a good or divine presence that justifies the act in terms of a higher power or greater good. Visionaries typically suffer from psychotic and hallucinatory breaks with reality, and are deemed mentally ill for the most part. They may be dealing with emotional trauma left over from an abusive or unusually stressful past. Mission-orientated serial killers believe they are conducting some kind of service or fulfilling a function. This function is determined by the killer and his own ability to understand the world around him. They believe they are, in essence, conducting a mission, such a cleaning up the world or removing a perceived evil or problematic element of society (for example, prostitutes). Hedonistic serial killers kill for the pleasure of killing and may also receive sexual gratification from the act. They kill for their own sexual pleasure and derive greater pleasure through greater depths of torture and mutilation. Hedonistic killers tend to increase the frequency of their attacks as they become more eager to repeat the process. They are also notorious for becoming sloppy and disregarding the possibility of being discovered. Finally, power and control serial killers seek to kill in order to exercise some dimension of control over their victims. This includes the 'angel of death' cases, in which medical practitioners kill or attempt to kill patients in order to exercise power over who lives and who dies. These killers are also called thrill seeking killers, as they kill to get the thrill of dominance over their victims. Those who kill others for financial gain and material possessions also fall into this category, as the thrill of gaining something from someone else by murder is exercising the power and dominance over another person.